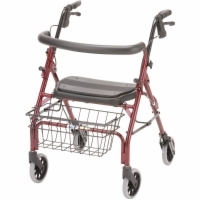 About the Cruiser Deluxe Jr. 4207 Rolling Walker: The Cruiser Deluxe Jr. 4207 puts the great features of the Cruiser Deluxe onto a smaller frame perfect for shorter individuals. Like the Cruiser Deluxe, the Cruiser Deluxe Jr. includes a feather touch hand braking system, contoured removable tires, and a wider seat with seat pad and hand grips. 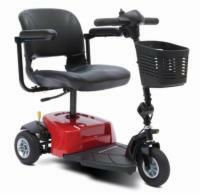 About Nova Rolling Walkers: Nova Ortho-Med has been creating mobility safety products, including rolling walkers, since 1981. Their goal has always been to provide high quality products to physically challenged people who want to live a healthy and independent lifestyle.